Tokyo Commodity Exchange (Tocom) has gone live on its new trading system – powered by Nasdaq’s Genium INET technology, as well as Nasdaq pre-trade risk and smarts market surveillance solutions. The new system is now integrated with the Osaka Exchange’s derivatives trading system (J-GATE), which also runs on the same Nasdaq trading technology. Nasdaq says this approach of a “mutually-shared trading system between two separate exchanges is one of first of its kind in the world”. Nasdaq and Tocom have been technology partners since 2009. 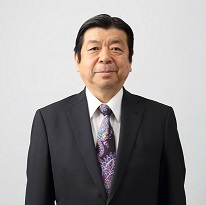 Takamichi Hamada, president and CEO of Tocom, says its market “will be able to expand further and it will lead to strengthening the competitiveness of the Japanese commodity market”. With this new trading engine, Tocom will provide trading and market information dissemination to its trading members, while also being a “one-stop” trading environment for domestic and foreign exchanges via a new connectivity service. In addition, the tech enables TOCOM to “extend across boundaries between commodities and financial products”, so Tocom investors, and also those trading derivative products on the Osaka Exchange (i.e. J-GATE), can now have access to the Tocom marketplace. Nasdaq says its exchange technology, including trading, clearing, CSD and market surveillance systems, is in operation in over 100 marketplaces across the Americas, Europe, Asia, Australia, Africa, the Middle East and the Caribbean.